Any cat lover knows the telltale signs of an upset stomach in their feline friend is dry heaving, gagging, and pitiful meows. While throwing up hairballs are a normal part of a healthy cat’s routine, more frequent vomiting can be as troublesome as it is stressful. Among the various reasons for this condition, food and diet are some of the most prominent causes, and also the most easily addressed. With that in mind, picking out the best cat food to prevent vomiting is a matter that every cat lover should consider when dealing with any health conditions that have their furry friends feeling under the weather. 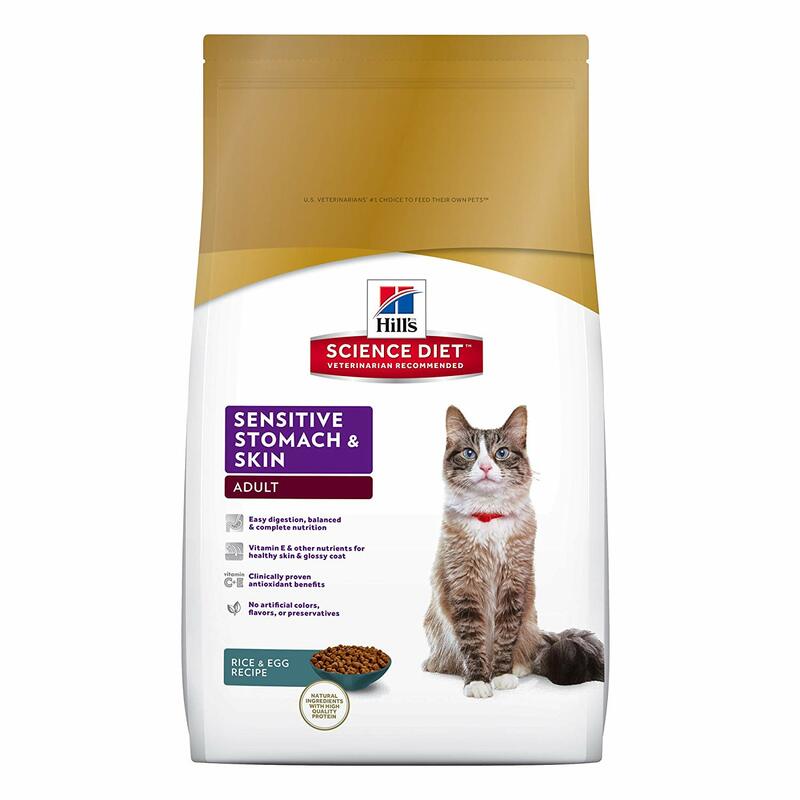 When it comes to keeping your active adult cat happy and healthy, this blend by Hills’ Science Diet can be just what you’re looking for. Not only does it help with digestion, it also helps maintain healthy skin and coat for your cat. 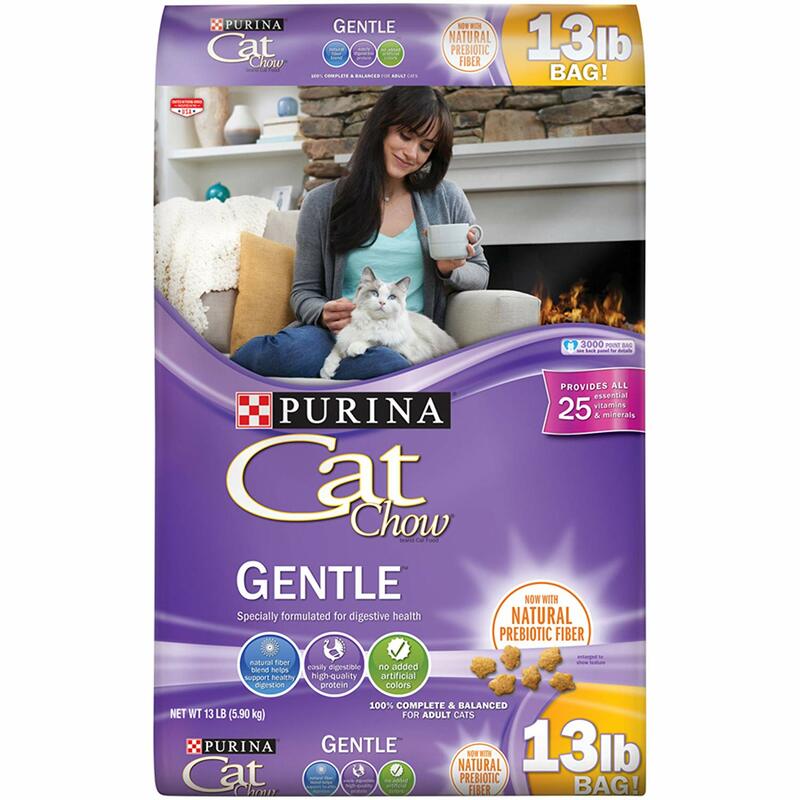 While not recommended for kittens or pregnant and/or nursing female cats, this dry food is well received by most. Overall this blend is well received by most cats. The team of veterinarians and nutritionists who created this recipe truly focused on infusing the ingredients with the necessary vitamins and fats to promote a healthy blend of digestive health and skin care. 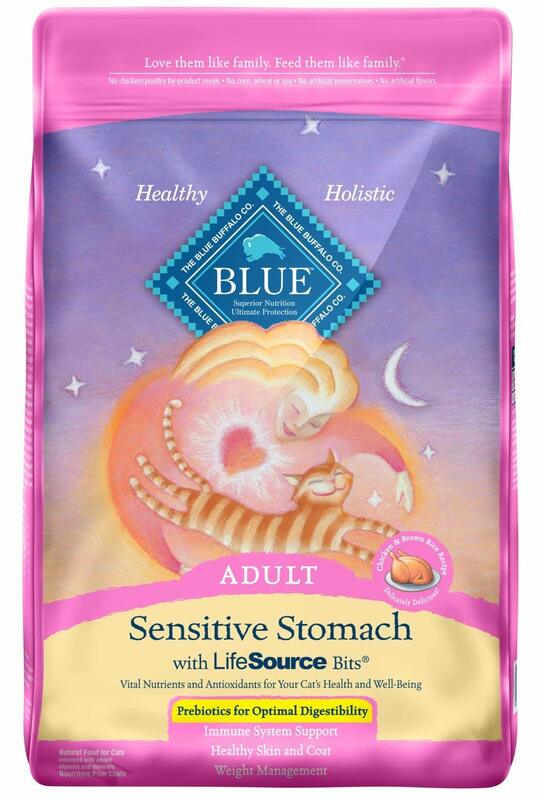 For adult cats who like hard food, this Blue Buffalo Sensitive Stomach mix may be the perfect blend. Blue Buffalo prides themselves on serving clean, raw meat products in their cat food and the special ‘LifeSource’ bits of kibble are a positive addition to the food. These pieces contain extra vitamins and nutrients needed for optimal health. They also add variety to the kibble and encourage consumption. This is an excellent choice for those who have cats that tend to vomit due to diet. The lack of wheat, soy, and corn products makes this a healthier blend of food than most. 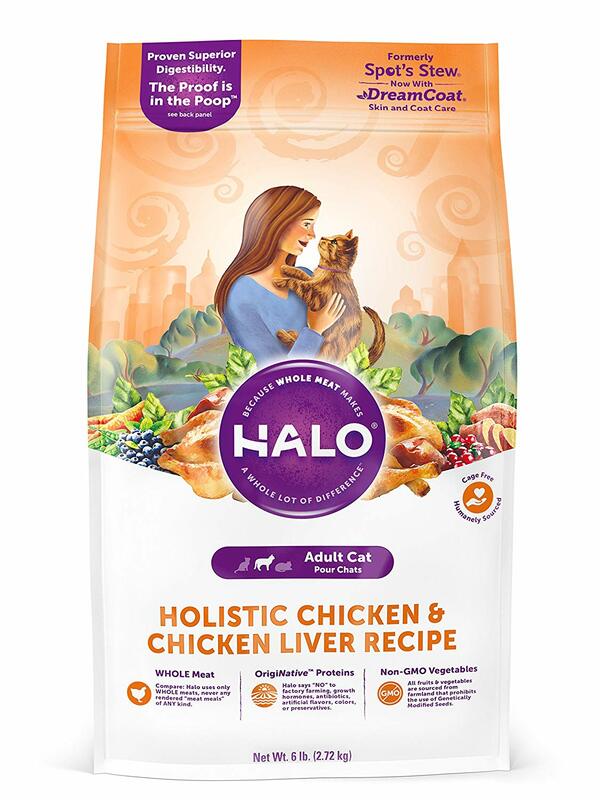 For more mature felines who need some extra care when it comes to diet, this Halo Holistic cat food comes highly recommended. It is made with real, whole chicken and does not use any ‘meat meal’ in the ingredients. All animal products are derived from non-factory-farmed animals who were not given antibiotics. This ensures a healthy food blend for your aging cat. There are a number of little things in this mix that will benefit your older cats and promote digestive health. The lack of magnesium is quite helpful in preventing UT blockages which helps your cat process food naturally and decreases the risk of vomiting. This unique blend of three different kibble shapes makes this blend of hard cat food stand out from competitors. 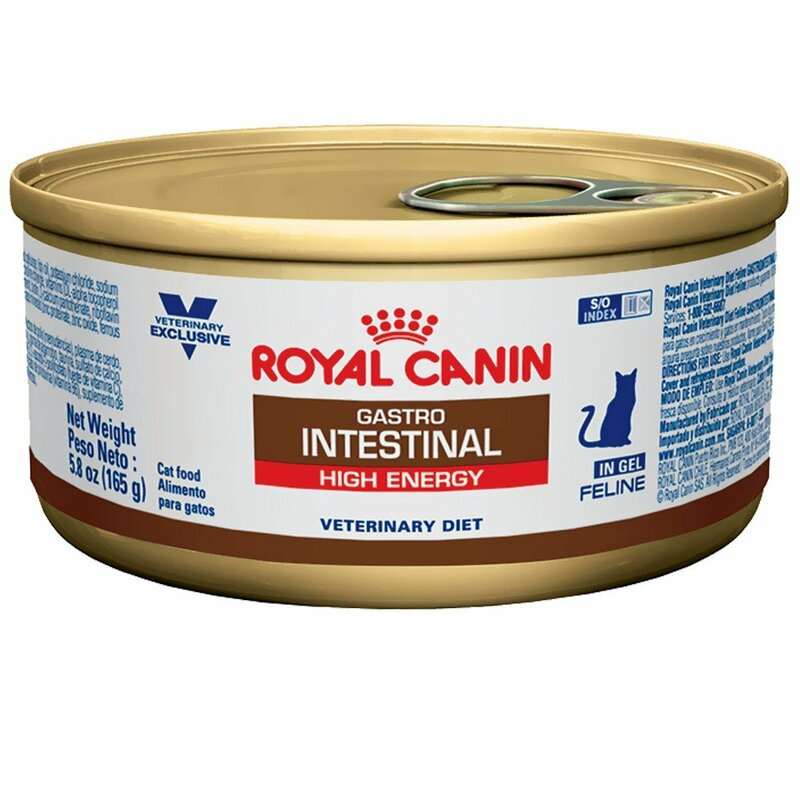 Royal Canin Feline Health works to promote intestinal flora by incorporating fermentable fibers into their recipe. This promotes digestion all around and decrease the risk of vomiting. For non-picky eaters who tend to not have overly sensitive stomachs this is a great blend. It works to prevent soft stools and encourages natural intestinal health. Not only does this hard cat food work to promote intestinal health, it also contains a blend of ingredients that focuses on healthy muscles, skin, and teeth. Purina ONE has a number of blends but this Sensitive Systems works to ensure your cat has healthy digestion. As a bonus, the hard kibble works to reduce plaque buildup and whiten your cats’ teeth. There are some not-so-great ingredients in this particular brand’s recipe that may not be ideal for cats with more critical digestive needs. However, for those who need more general TLC, this really does work to promote overall digestion. 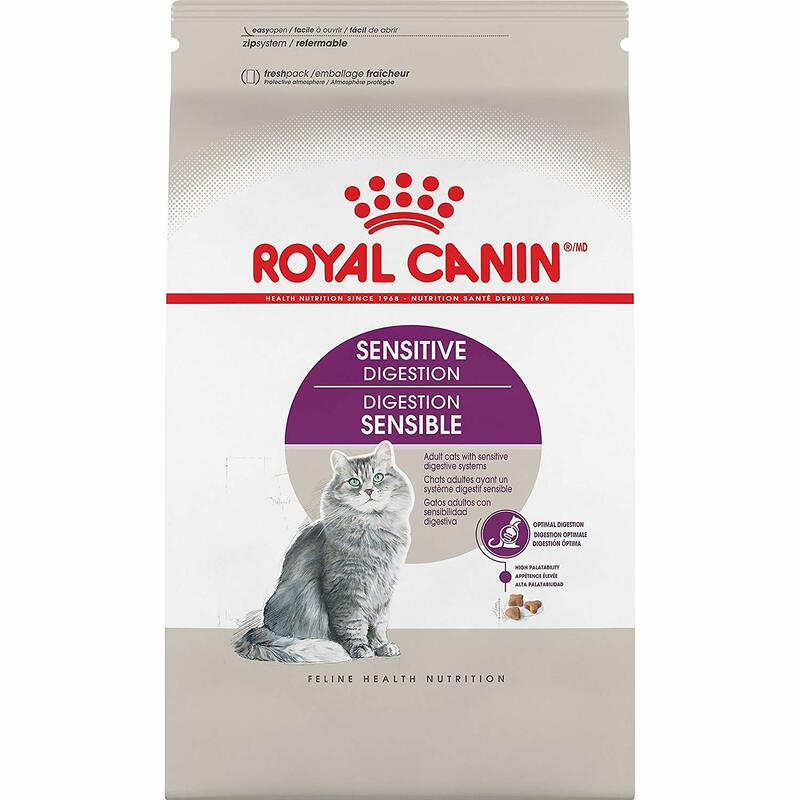 If you are looking for a cat food that is multi-purpose, this Royal Canin Feline Health Nutrition blend is one of the best. The recipe promotes gastrointestinal health which helps your cat pass hair nicely, rather than having it clog up and come out as hairballs. Additionally, this blend helps reduce inflammation which is great for those with older cats. Lastly, the unique, triangular shape of the kibble helps reduce plaque buildup and whiten teeth. While the ingredients in the recipe may seem off-setting to some, the variety of benefits this blend offers are worth taking into consideration. 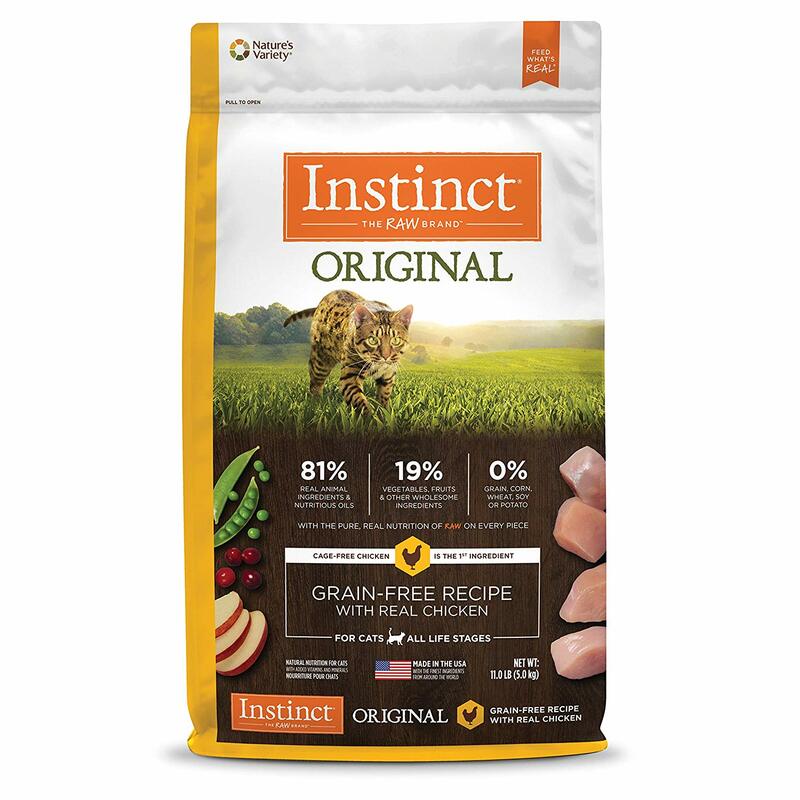 The Instinct brand promotes raw ingredients and this Instinct Original Grain Free cat food is no exception. Comprised of 81% real animal ingredients, this blend is made with cage free chicken while being grain free. Recommended for both kittens and adult cats alike. This cat food comes with a high protein, low carb balance. The ingredients in this mix are quite good and the kibble is coated with free dried raw for increased nutritional value. Liked by both cats and cat owners alike. This is one of the only wet foods on the top 10 list that is made for cats who have sensitive stomachs. In addition to having a nice texture, it comes in six different flavor combinations and is grain free. Wellness Signature wet foods are made for cats over 1-year-old. The recipes are made with ingredients that promote digestive health, eyes, and teeth and gum health. The food combinations are also designed to promote water intake and increase overall energy. While it’s hard to know all of the ingredients used in this brand, it is safe to say that it truly is a good mix for your cat. Wellness Signature is a good go-to for soft food that gently works with sensitive stomachs without using too many different ingredients. 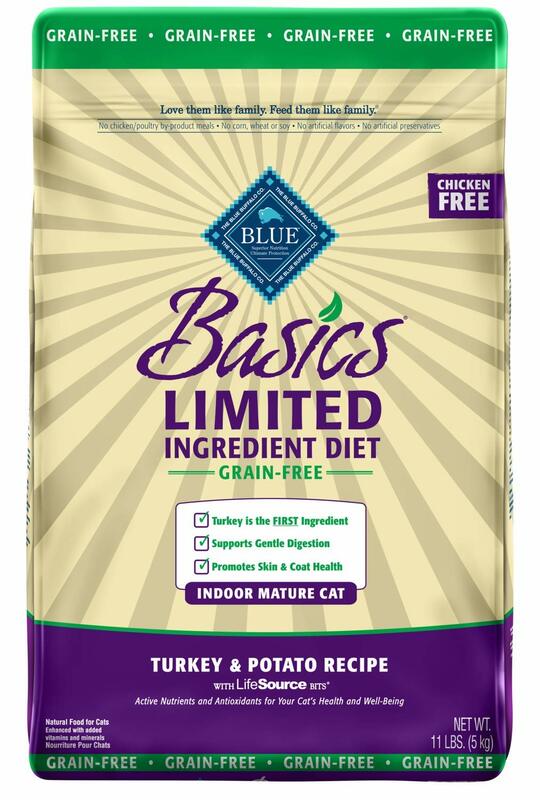 Blue Buffalo is one of the better brands available for you and your cat; this Basics mix is no different. 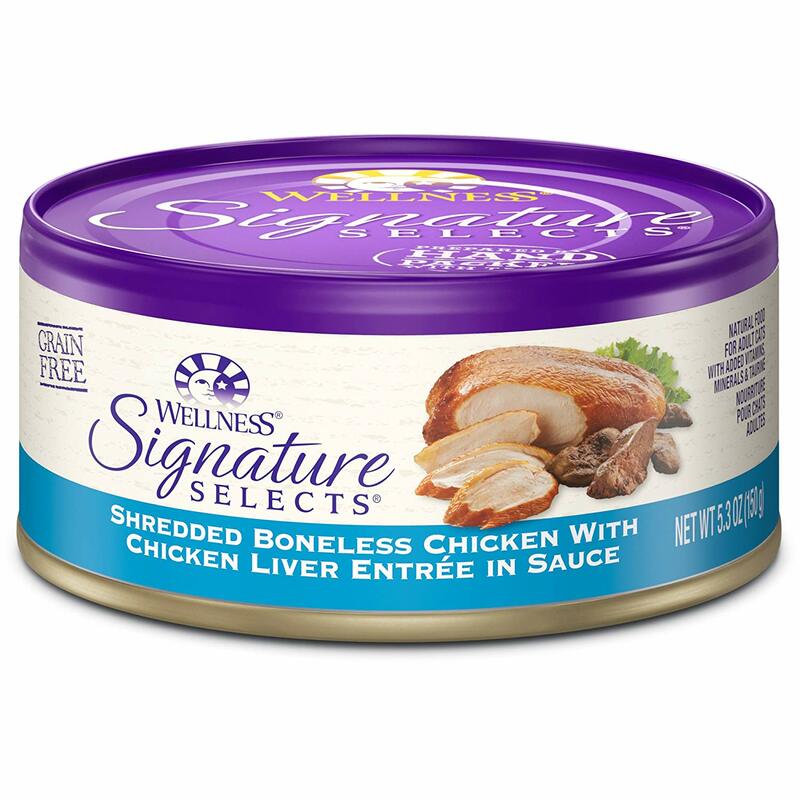 For cats who are not able to eat much chicken, this is an excellent option as it features turkey as the key meat. Additionally, it contains pumpkin – not often found in cat food – which is a natural ingredient that promotes gentle digestion. By far one of the better options for cats who have stomach and/or vomiting issues. The natural ingredients work best with the feline’s system and promotes healthy living. This is one of only two wet foods that are designed for cats who have digestive challenges. Additionally, this one is extra fortified to prevent hairballs. By fortifying the digestive track, hair is allowed to pass through more efficiently and is less likely to be built up. While it’s unfortunate that this is mainly water, it does work well for cats who struggle with digestive issues. The two Omega fatty acids included also work to promote healthy skin and fur for your cat. Some of the quickest fixes to tummy troubles are also the simplest. Frequent vomiting can be a sign of dehydration, so make sure your kitty has plenty water to drink at all times of the day. If the problem lies in your cat’s other bowl, finding the right food is crucial. Food for cats with sensitive stomach issues can be found at most major pet stores, and avoiding rich treats and snacks will go a long way towards making sure your cat finds it easy to digest cat food If the problem persists, even after the transition to a sensitive stomach cat food, it may be time to arrange a visit to your veterinarian’s office, but in most cases, simply switching from rich foods and off-the-shelf standard brands to a highly digestible cat food that is designed with your cat’s dietary needs in mind will help eliminate the root of the matter and get your cat feeling better in no time at all. When looking for the perfect food for your cat, there are a few key features to keep in mind that will make sure your kitty is getting the care it deserves. Whether you choose wet or dry food depends on your cat’s individual preferences, but a variety of brands keep their sensitive cat food dry, while others promote moist cat food for sensitive stomachs, so you’re sure to have a wide range of choices either way. Overall, the six most important aspects to consider when food shopping are your cat’s nature, hairball routine, food allergies or sensitivities, changes in diet, activity level, and eating habits. With these factors in mind, here are some of our favorite cat foods on the market, specifically chosen to address and treat each separate area of concern. 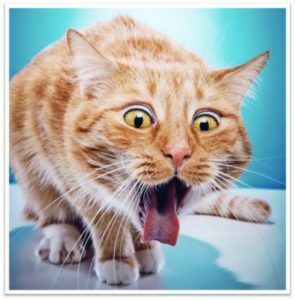 This is probably the single simplest reason your cat may be vomiting too much – they’ve eaten something they don’t like. Vomiting is a natural way of purging toxins, poisons, or irritants from an animal’s body, and cats are clearly no exception. Take a careful look at the ingredients in your cat’s food, and make sure there’s nothing there that could be hurting them. High-protein formula provides the energy your cat needs to keep moving throughout the day. Because cats groom themselves all day, it’s only natural they end up swallowing some of the shed hair, and the resulting hairballs are no cause for concern. However, if your cat is vomiting more than usual, or if it seems to be coughing up more hairballs than you’re used to, it may be time to look for a new brand of sensitive stomach cat food. Just like humans, allergies can be a serious cause of stomach issues in cats. The most common allergens for cats are various meats – including beef, eggs, chicken, and fish. While cats can be allergic to grains, these allergies are rarer, and therefore more likely to go unnoticed until it’s too late. Duck meat is a rarer form of protein, so your cat doesn’t run the risk of overexposure and allergy development to more common chicken or beef. Also promotes healthy skin and fur, for a sleek, glossy coat and strong skin. Like most humans, cats aren’t the biggest fans of sudden changes. When switching from regular cat food to a sensitive digestive cat food, it may be best to phase the new food in over a period of time, rather than switching all at once. Just as our own mothers have always seemed to warn us, too much activity after eating can cause an upset stomach for all those energetic cats who seem to always be up for a bit of fun. Encouraging your cat to wait a while before playtime can drastically cut down the amount of unwanted vomiting. While poor eating habits, usually eating too fast, without pausing to properly break down food can be easily thwarted by using a different bowl, or placing a golf ball in the middle of your kitty’s bowl, pay careful attention to the quality of your cat’s food as poor ingredients can wreak havoc on a sensitive cat stomach. Seeing your cat in pain for any reason can be scary, but armed with the proper knowledge – something as simple as a change in diet can go a long way towards stopping a vomiting kitty and keeping your cat healthy and happy! For even the most seasoned cat owners, it can still be disconcerting when your sweet cat starts to vomit. This can be triggered by a variety of things and if it tends to be a one-off case there is less cause for concern. If it increases in frequency however, there are certain things you can do to help bring your cat back to normal. Here are two of the most common questions and the answers that can best serve you and your cat. 1. Why is my cat throwing up dry food? Unfortunately, this happens more often than you would like. To save costs, cat food companies – even the well-known ones – will trade out ingredients. Even a slight change, such as the addition of peas to the recipe, can throw off your cat and cause him/her to vomit. If you have a relatively new cat, or have undergone a change (such as a move or the addition of a new pet), it can cause your cat to gorge themselves. This will generally result in them throwing up the ‘extra’ food later on as they were really not able to process as much as they ate at the time. The third cause of vomiting may be something off in the intestines of your cat. If nothing in your food or environment has changed, consult with your vet to ensure your cat is okay. If there is a virus, or infection your vet can provide additional direction. 2. What To Do When Your Cat is Throwing Up? If your cat consistently is getting sick it may be time to change their food. It takes about 14 days to adjust to new food. Be patient as you introduce the new food and watch for any positive (or negative changes). You can also try different portion controls if you suspect your cat is over-eating. If you have ruled out ingredients as a cause of vomit and are sure it isn’t another, more natural cause (e.g. 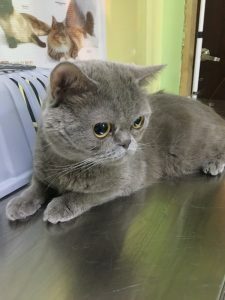 they ingested too much hair that can’t come out), it is worth a consultation with your vet. Often, vomiting can be as sign of something more off-balance inside of your cat. Your veterinarian will be able to help identify why your cat is throwing up. They will also provide insight into the steps you can take and/or the medications you can use to help alleviate this symptom for your cat. What is the best cat food to prevent vomiting? By far, the best cat food to prevent vomiting is one with the most natural ingredients. If possible, look for ones that are grain free as well. The Blue Buffalo Sensitive Stomach is one of the best when it comes to cats with digestive challenges. It’s a counterpart, Blue Buffalo Basics is also just as good and it doesn’t contain chicken for those cats who can’t handle chicken protein. These two products are by far the best as they have natural ingredients that benefit your cat(s) the best. It is worth noting, however, that the rest of the cat foods on this top 10 list are equally good in their own ways. 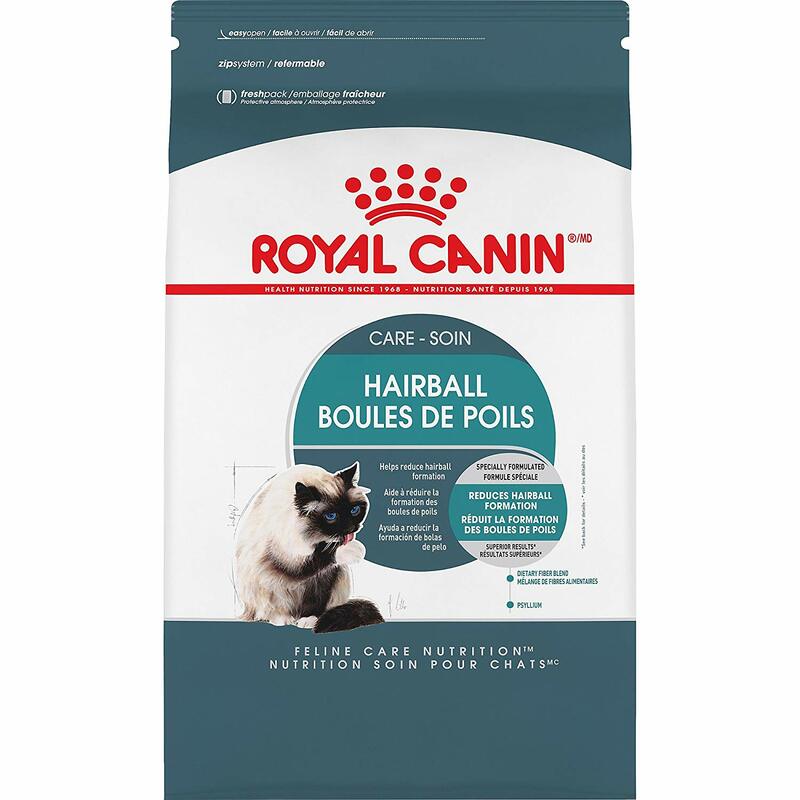 These include Halo Holistic, Royal Canin Feline Health, Purina ONE Sensitive Systems Adult Dry Cat Food, Hill’s Science Diet, Royal Canin Feline Health Nutrition, Instinct Original Grain Free, Wellness Signature and Royal Canin Feline Gastrointestinal. For more details check out the other products and make sure to pick the best one for you and your cat!